The Group Sécurité C.L.B. Inc. staff counts over 500 dynamic, responsible, united and efficient employees. In order to ensure a quality service, we recruit candidates who are able to communicate and who possess good judgement. We offer protection and security service for residential properties such as office buildings, school institutions and hotels. All of these services are available on a regular and continuous basis. 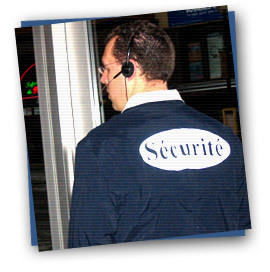 Furthermore, we offer security services for all kinds of purposes such as cultural and sporting events. Our employees are trained to control access, ensure safety in buildings as well as ensure prevention and protection in sporting or cultural events. Our operating territory is primarily in Montreal and its surroundings. However, our license delivered by the Quebec Ministry of Public Security allows us to operate throughout the province as well. We offer a very competitive price and a personalized evaluation in order to target your specific needs. Unlike most of our competitors, we prefer to blend in with every special events rather than to stand out only as an external, independant company. The discretion of our uniform allows us to easily integrate ourselves in situations of all kinds, including all outdoor events. Also, our agents wear a different and specific uniform for guarding services. Regardless of your activity domain, we will always find the very best solution for your needs. Thank you for the attention given to our services offer. We are very grateful for your trust towards our company and we will ensure that you are entirely satisfied with our services. • ALL REQUIRED OFFICIAL DOCUMENTS WILL BE SUPPLIED ON REQUEST. Copyright © 2006 Groupe Sécurité C.L.B. Inc. All Rights Reserved.